"Here's a designer to put on your radar: @thehouseofamz this wool set slays & is available exclusively at @fly_fashionlovesyou! See the full collection online at the official FLY Fashion Loves You Website." 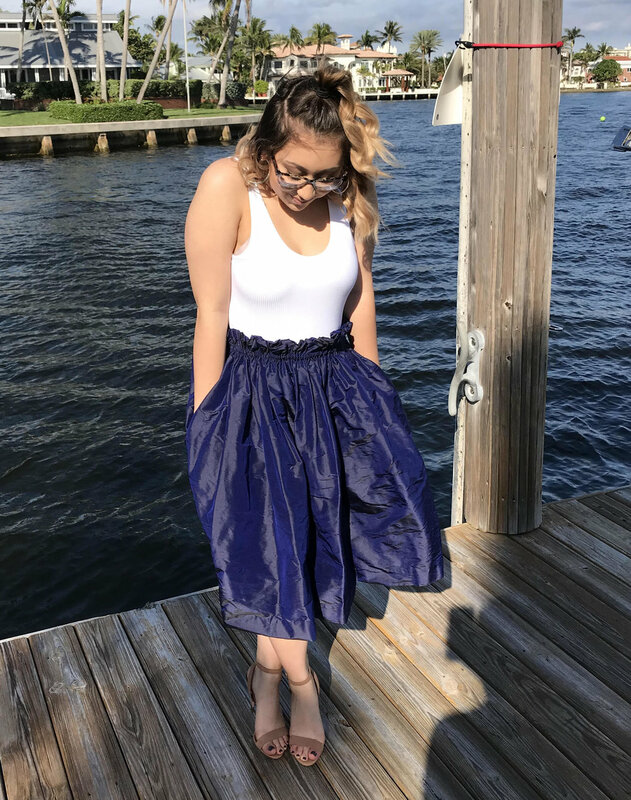 "While wearing the seta skirt during the bridal shower I received so many complements but not only that, felt so confident wearing the design. The morning of I was honestly stressing what to pair with the beautiful skirt so it would complement and not take away from the style and fit. So decided with a simple white plain bodysuit. I have been saving the skirt for a special event but in particular this one but when I wore it yesterday I realized the skirt can really be dressed up or dressed down. Thank you Aly so much for the custom fitted design! I loved wearing it so much." "I knew I had to have them. They're oversized, retro, and eye-catching...all qualities I love in a great pair of shades. 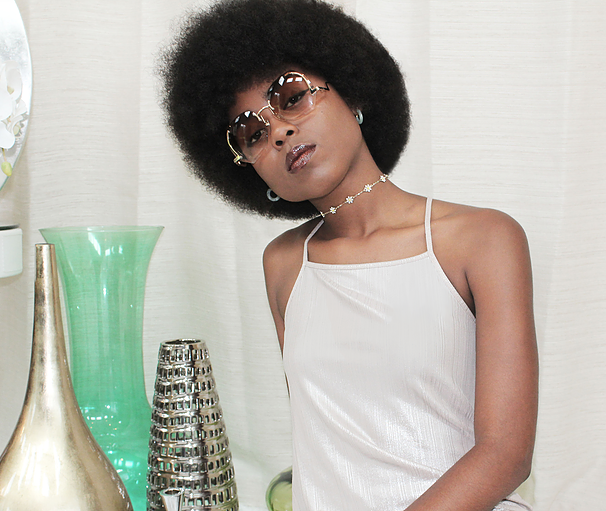 These vintage lenses are from one of my favorite style eras, the 1970s, and they are perfect for adding some far out character to any outfit." "Femininity is ..." this means different things to different people. For me it means equality, strength, and freedom in being accepted for who you are regardless of societal constructs. What does femininity mean to you? While jet setting my fashionista self through Europe, I made sure to spend the day strolling through the streets of Lucerne Switzerland wearing my chic AmZ capris. Theres nothing better than looking chic while being comfortable!! "Since I go to my office job and have my fashion blog on the side, it is very important to me to have a classy and versatile closet. I am very happy to say that the seta skirt was a perfect fit for me. It is as timeless as it is versatile, and it has pockets (haha). “I love my Seta Skirt because it goes with absolutely everything! I wore it for an event and found that my only problem that night was figuring out which top looked best with it. It has become my go-to piece for nearly any occasion, whether that be a fancy gala or brunch with friends :) ”.